The agricultural sector lies at the heart of the trade and sustainable development nexus. In the Asia-Pacific region, agricultural production provides livelihoods to close to half of the regional population. Agricultural trade is necessary to ensure affordable and sustainable access to food for all. However, agricultural trade costs are much higher than trade costs for manufactured goods. 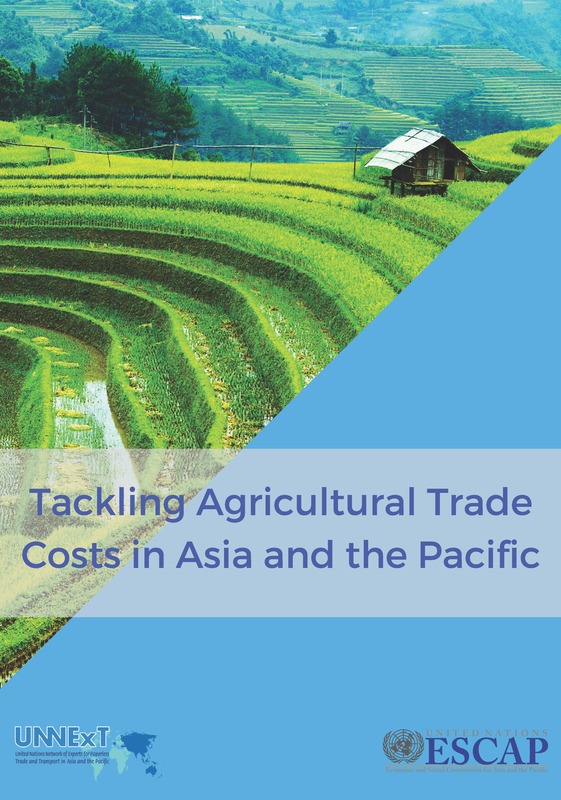 This report reviews agricultural trade costs in the region and presents data on four major cost components that drive them: Tariffs, non-tariff measures, trade procedures, and transport and logistics. An empirical model of agricultural trade costs is also estimated to examine the impact of various policy and other factors. The results confirm that trade facilitation, including paperless trade, is an important policy tool to reduce agricultural trade costs. Policy makers may utilize the recently adopted Framework Agreement on Facilitation of Cross-border Paperless Trade in the Asia and the Pacific to coordinate efforts in this area and developed harmonized and interoperable paperless trade systems for agricultural trade facilitation. At the same time, they may establish national trade and transport facilitation monitoring mechanisms to streamline the business processes associated with import and export of strategically important agro-food products.